Jesus enters Jerusalem with one message -- that the overflowing love of God has come among us, lives among us, teaches among us, rides a donkey among us, is one of us. So how are we to respond? Cheer like the crowds along the way? Shout, "Crucify him!" when we don't get our way? 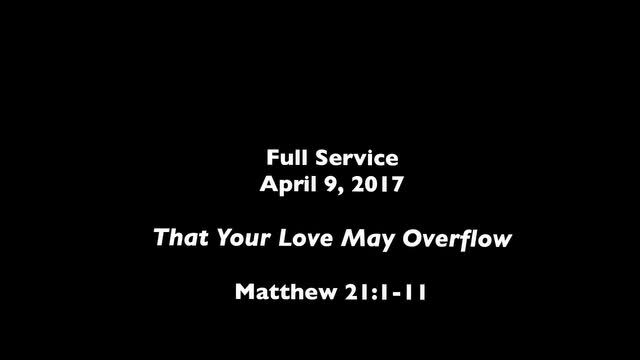 Or simply let God's love overflow through us just as he did?